You might identify that eating certain foods will raise your heart disease threat; it’s often dangerous to modify your eating habits to prevent your heart. 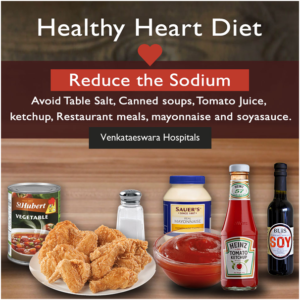 Venkataeswara Hospitals are the best heart Hospital in Chennai, offering you free advice on how to take healthy food for your heart. Below you can find the 7 Steps to Prevent Heart Disease through Healthy Diet. Once you came to know which foods to eat and which foods to avoid, then you’ll be on the way toward Heart Disease Prevention. Before getting into the tips you can also find the Guides to Keep Your Heart Healthy for Lifelong. How much you eat is just more essential than what you eat. 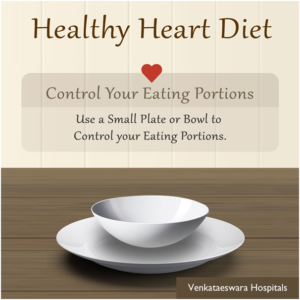 Use a Small Plate or Bowl to Control your Eating Portions. Eat larger portions of food with low-calorie & nutrient-rich foods, such as fruits, vegetables, and eat smaller portions of high-calorie, high-sodium foods, such as refined, or fast foods. This approach can shape up your diet as well as your heart and waistline. Vegetables and fruits are rich sources of vitamins and minerals. It also has low calories and rich in dietary fiber. 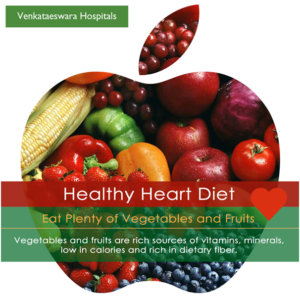 Vegetables and fruits, like plant-based foods, contain substances that may assist to prevent heart disease. Eating more fruits and vegetables may help you decrease on higher calorie foods, such as cheese, meat, and snack foods, etc. 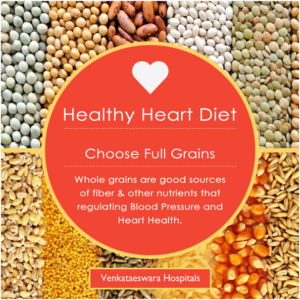 Consuming whole grains are first-class sources of getting fiber and other nutrients, which plays a vital role in regulating blood pressure. You can enhance the quantity of whole grains by making an easy replacement for refined grain products. 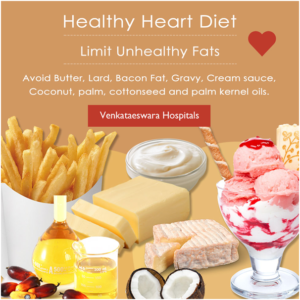 Limiting saturated and Trans fats you eat is an essential move to lower your danger of coronary artery disease and reduce your blood cholesterol. High blood cholesterol leads to a rise of plaques in your arteries, called atherosclerosis, which can increase your risk of stroke and heart attack. 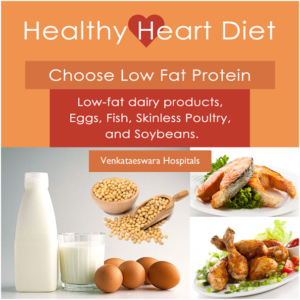 Poultry, Lean meat, fish, eggs and low-fat dairy products are the best sources of low-fat protein. But pay attention to choose lower fat options, such as skim milk and skinless chicken breasts. Intake of more number of sodium can put into high blood pressure; it is also a big risk factor for heart disease. So reducing sodium is an essential part of a heart-healthy diet. 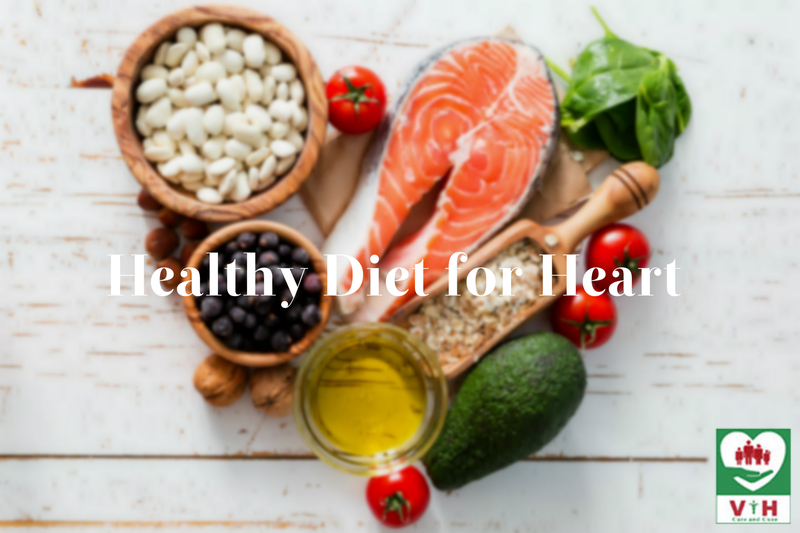 Based on above steps you may come to know what kind of foods will make your heart-healthy and which ones to limit. So now it’s time to make plan of action. 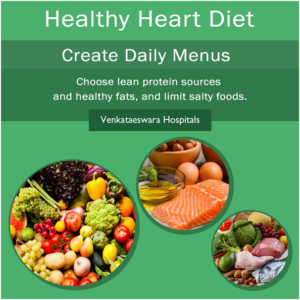 Create daily menus with rich number of proteins. Choose healthy fats, lean protein sources, limit salty foods, look at your eating portion sizes and add variety to your menu choices. Include all these 7 healthy steps in your life, and you’ll find the healthy heart eating is both achievable and enjoyable. If you have any kind of heart problems and heart checkups feel free to visit our Best Cardiology Hospital in Chennai.